Check it out! 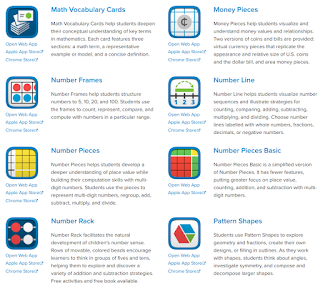 There are games, online games, math practice websites, puzzle/problem ideas, contests, and so on! If you like the article, let your friends know about it too! Here's your chance to win Math Mammoth Light Blue Series curriculum! There will be FIVE winners. One will get the grand prize, a bundle of all seven grades, and FOUR winners will get ONE grade level (winner's choice). EVERYONE who enters will get ONE free ebook! The giveaway runs till midnight of Thursday, June 7. All prizes are digital downloads. Refer your friends (USING THE WIDGET) for extra entries!